Are Abstract Ideas Not Actually Abstract? The following post is from Jim Hallenbeck of Schwegman, Lundberg & Woessner. The word “principle” is used by elementary writers on patent subjects, and sometimes in adjudications of courts, with such a want of precision in its application as to mislead. It is admitted that a principle is not patentable. A principle, in the abstract, is a fundamental truth; an original cause; a motive; these cannot be patented, as no one can claim in either of them an exclusive right. Nor can an exclusive right exist to a new power, should one be discovered in addition to those already known. Through the agency of machinery, a new steam power may be said to have been generated. But no one can appropriate this power exclusively to himself under the patent laws. The same may be said of electricity and of any other power in nature, which is alike open to all and may be applied to useful purposes by the use of machinery. Le Roy, 55 U.S. at 174-75. That the main merit — the most important part of the invention — may consist in the conception of the original idea — in the discovery of the principle in science or of the law of nature stated in the patent, and little or no pains may have been taken in working out the best mode of the application of the principle to the purpose set forth in the patent. But still, if the principle is stated to be applicable to any special purpose, so as to produce any result previously unknown in the way and for the objects described, the patent is good. It is no longer an abstract principle. It becomes to be a principle turned to account, to a practical object, and applied to a special result. It becomes then not an abstract principle, which means a principle considered apart from any special purpose or practical operation, but the discovery and statement of a principle for a special purpose — that is, a practical invention, a mode of carrying a principle into effect. That such is the law [he observes] if a well known principle is applied for the first time to produce a practical result for a special purpose has never been disputed, and it would be very strange and unjust to refuse the same legal effect when the inventor has the additional merit of discovering the principle as well as its application to a practical object. Le Roy, 55 U.S. at 185-86. Considering that the abstract idea in Bilski is hedging, which in view of Le Roy v. Tatham equates an abstract idea to a law of nature or mathematical formula, hedging is essentially viewed by the Court as equal to a law of nature – a basic principle. Laws of nature and mathematical formulas are actually not abstract in the sense of being loosely defined, which is how I initially read “abstract ideas” in Bilski. Instead, the opposite is true. A claim to an abstract idea is actually very specific, such as a claim to the Pythagorean Theorem, addition, electromagnetism, or even gravity. Those are very specific things just as hedging is very specific – or concrete, but I will get back to that. A thesaurus is quite helpful in finding a single word with the same meaning as abstract that is more easily understood. Conceptual. An abstract idea is accurately considered to be conceptual as in, “The claim of Bilski was directed at the concept of hedging.” With this definition in mind, the abstract idea holding makes more sense. But, it turns out that abstract ideas are not actually abstract at all. Nevertheless, I still think the Court took a few mental leaps. For example, hedging didn’t necessarily always exist. Hedging is a method developed by man to mitigate risk. Certainly hedging has been around for centuries. So it must be that when a basic construct created by man becomes so well known and commonly practiced, the concept becomes principle along the same lines as gravity. But considering the precedent of Chakrabarty where anything under the son made by man is patent eligible, wouldn’t Bilski have been better, or at least more simply decided under § 102 or § 103? Diamond v. Chakrabarty, 447 U.S. 303, 309 (1980). Otherwise it seems there is another test missing in the reasoning of Bilski that can be used to tell us when a construct of man becomes so ingrained that the construct is instead conceptual to a level of being a principle. So it seems that an abstract idea is simply a conceptual process lacking an application that does not preempt all uses thereof. In view of the June 28, 2010 memo from Robert Bahr (USPTO Acting Associate Commissioner for Patent Examination Policy) providing post-Bilski process claim examination instructions, when a process claim does not meet the Machine or Transformation test, the claim is to be rejected under § 101 unless there is a clear indication that the claim is not directed to an abstract idea. That leads me to my next point – traversal of an assertion that a claim is directed to an abstract idea. To traverse a holding that a process claim is directed to an abstract idea, it seems necessary to be able to show how the claim does not preempt all uses of the process involved in the claim. Under Flook, the showing must be more than a restriction to a particular field of use and involve more than token post-solution components. Parker v. Flook, 437 U.S. 584, 590 (1978)(see footnote 11). Another possible way to traverse an assertion that a process claim is directed to an abstract idea is to attack the grounds upon which the process is considered to be an abstract idea. 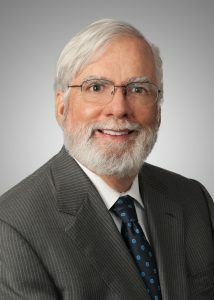 For example, the majority in Bilski cited Judge Rader’s dissenting opinion where he asserted that “[h]edging is a fundamental economic practice long prevalent in our system of commerce and taught in any introductory finance class.” The tactic here may be to lodge a demurrer as to the asserted facts and traverse the conclusion that the construct of man has reached the point of being an abstract idea, a.k.a. a principle. My investigation into the rightful meaning of “abstract idea” lead me to a thesaurus as previously mentioned. I noted that “concrete” is an antonym of “abstract.” That reminded me of the useful, concrete, and tangible (UCT) test from State Street … the same case the Bilski Court refused to endorse. Could it be that the reason the UCT test didn’t work well is that the concrete portion of the test was not definitionally understood as the opposite of an abstract idea? Perhaps with the background of Bilski and a proper definitional context for “concrete,” the best way forward would be for the Federal Circuit to take the Supreme Court up on its challenge for “development of other limiting criteria that further the purpose of the Patent Act” by affirming the UCT test pronounce by Judge Rich (whom by the way Justice Stevens was so quick to quote in his contrarian concurring opinion). This entry was posted in Patent Eligible Subject Matter and tagged Bilski, intellectual property, ip, jim Hallenbeck, Patent Law, USPTO. Bookmark the permalink. 2 Responses to Are Abstract Ideas Not Actually Abstract? Jim, thanks for the thought provoking post. I too have been thinking a lot about the meaning of “abstract”. I think the courts go way off base with using the phrase “abstract idea” to capture everything they think is wrong with [un]patentable subject matter. As you pointed out, one sense of “abstract” is “not concrete” or “not tied to the physical world”. I don’t see how anyone can say with a straight face that a computer executing software is abstract in this sense of the word. An idea, abstract by definition, is taken out of the realm of abstract by a computer implementing the idea. Another sense of “abstract” is “fuzzy” or “not well defined” or “details not yet figured out”. That sense of “abstract” has no place in 101 analysis, since that concern is addressed by 112. The real concern the courts seem to have with defining the limits of patentable subject matter is something else entirely: “preempts all uses”. “Abstract idea” is a terrible way to express “preempts all uses”. “Preempts all uses” has to do with breadth of a claim. My answer to that: so what? My claim to a computer executing an inventive Fast Fourier Transform (FFT) algorithm preempts all uses of that algorithm — from GPS receivers to cell phones to weapons systems. So what? Why is this different than a claim to a inventive fastener, ala the Torx(R) screw. A patent on a fastener preempts all uses of that fastener, from bookshelves to computer cases to auto parts. Isn’t that the whole point of a patent — to exclude others in as many fields as possible? And what really confuses me is that the court’s (Supreme and Fed. Cir.) insistence that fields of use limitation don’t take the claim out of the realm of abstract. Yet it’s precisely a field of use limitation that would address the court’s concern with “preempts all use”. Interesting idea. Off the top of my head, I can’t think of any claims that would pass MoT yet fail UCT. That is, it seem so me that a machine makes the claim concrete, and a transformation makes the claim tangible. OTOH, perhaps there are ways to achieve concrete other than a machine — surely throwing a baseball and swinging a cat are concrete, since they exist in the physical world — so maybe the two tests are not coextensive. I dunno what to do with the useful prong of the test.